Fleet OMS was developed as an extension to AW Rostamani's Oracle based Opportunity Management System (OMS). Fleet OMS was developed as an extension to AW Rostamani's Oracle based Opportunity Management System (OMS). 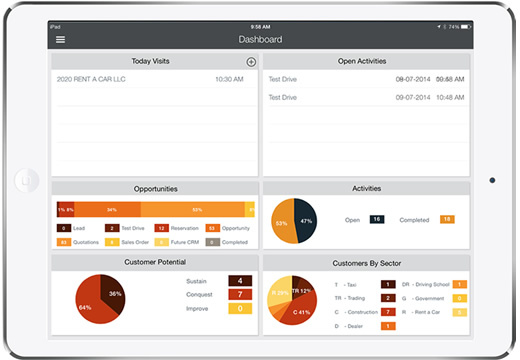 The solution, built for iPads, allowed fleet sales representatives to conduct CRM activities with customers, generate new leads, record and track opportunities, conduct marketing tasks, present product media and related information and complete sales activities while directly interacting with customers.